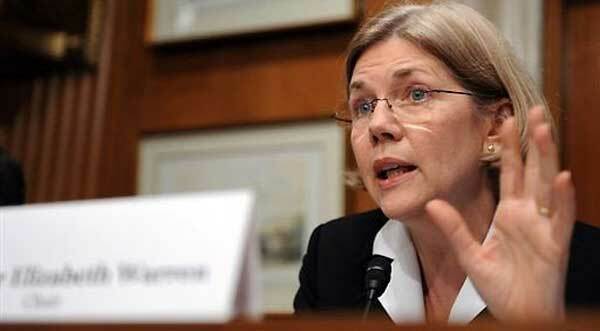 Any reader of this blog knows that Elizabeth Warren is my heroine. She has rocked the financial world and has the “good old boys” worried enough to try to block her confirmation. She is one of my favorite boat rockers. Things in the DC hearing room got a little rocky a few weeks back when Rep. Patrick Henry, a republican from North Carolina, accused Ms. Warren of lying. The New York Times called it “a rare collapse of decorum that usually pervades discussions among even the most fervent opponents on Capitol Hill.” This all leaves me to ask the question, “What are they afraid of?” I think the answer is they are afraid of a super-intelligent driven woman who wants to fight for the wider public and make financial things understood by the average American. Alternet had a posting about the attack at the hearing entitled “Why she Scares the Hell out of Republicans” and The American Prospect features her in an article entitled, “The Strongest Progressive in the Room” by Robert Kutter. I can’t help but reflect back on the movies Inside Job and Client 9. I look forward to seeing the HBO production of “Too Big to Fail” based on a book of the same name. Don’t give up Elizabeth, the county is counting on you to do what it right—against all odds. You go girl!